In 2013 we experienced a plethora of music from around the world. You voted for your favorite discoveries of 2013. 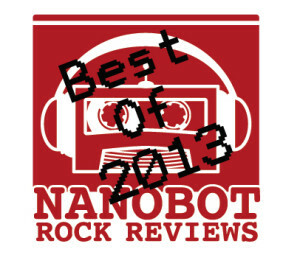 Now, we would like to take a moment to recognize our favorite discoveries, as chosen by us here at Nanobot Rock Reviews. Thank you to each and every one of you who has shared, listened to, or read about local independent music. As cliché as it may sound, third time is the charm. Well, maybe not exactly in the case of Rin Tin Tiger. Saying that would imply that Toxic Pocketbook and Rin Tin Tiger were sub-par and that is most definitely not the case. 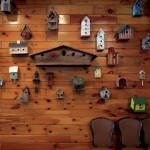 Splinter Remedies is a landmark on the map of Bay Area independent music. Do you like experimental rock? Do you like albums that demand your complete attention as you absorb every note and cadence? Do you like rock outfits from Utah? Well, get on board, you lucky so-and-so. 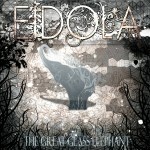 Eidola blew us away with The Great Glass Elephant and we have been huge fans ever since. Go find out why Greg said he hasn’t had this much fun discovering an album since De-Loused in the Comatorium. At the beginning of 2013, we would have never believed a band from Oakland would not only make us fall in love with Jazz all over again; let alone expand our appreciation for vinyl. 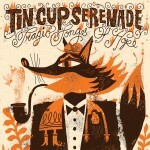 Tin Cup Serenade did exactly that. We are incredibly fortunate to have come across Tragic Songs Of Hope and you would be too. 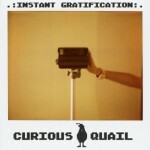 #6 Curious Quail – . :INSTANT GRATIFICATION:. Yes, we tend to love Bay-area tunes. Yes, we compared them to a Bob Ross painting. And yes, we think you should listen to Curious Quail. Along with being fun geek-rock with 90s grunge roots, Instant Gratification has a rich sound and huge hooks that had us putting this album on repeat constantly throughout the year. We feel fortunate to have this band in our lives; plus it helps they get all of our nerd references. Bold. Daring. Aggressive. All are things that come to mind when we think of this record. It is devastatingly good and just as addicting. We hit play on this the first time and haven’t stopped listening since. The world needs to take note of Niall Connolly. 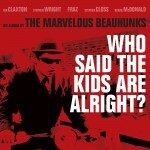 #4 The Marvelous Beauhunks – Who Said The Kids Are Alright? Quite possibly the greatest band since Supertramp were reborn with the release of Who Said The Kids Are Alright?. 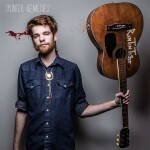 This album is like Bob Dylan fighting a grizzly bear for the honor of Johnny Cash. It is epic and Canadian. Seriously, check this one out. 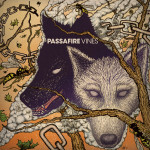 Passafire made us bite our tongue. Just when we thought Reggae wasn’t a genre known for its originality, here came Vines. The countless high points on the album made the record a must experience of 2013 and an instant selection for this list. Light-hearted throwback rock always has a soft spot with us, but this band from Boston charmed us and made us fans with some incredible tracks like “Uh Oh” and “Don’t Cough Me Out.” Slowdim’s debut is the type of album we love here: one that we want to do our best to share with the world. 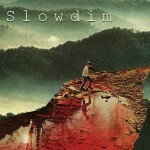 Their alt-pop sound is infectious and if you’re looking for an album to brighten your day and usher in the spring thaw, go check out Slowdim. 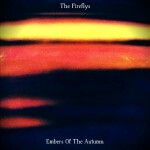 The sound and heart has always obvious with The Fireflys. Embers Of The Autumn simply took what they were already doing so well, packed it tightly, and launched it into the stratosphere for the world to notice. This emotionally charged, profound album took a little band from Runcorn and made them simply unforgettable. This entry was posted in Other Great Stuff! and tagged 2013, Best music, Best of 2013, Curious Quail, Decoded, Eidola, Niall Connolly, passafire, Rin TIn Tiger, Slowdim, Staff Pick, the fireflys, The Marvelous Beauhunks, Tin Cup Serenade, top 10 by Greg. Bookmark the permalink. Thank you for recognizing decoded! Topanga is tops!! !